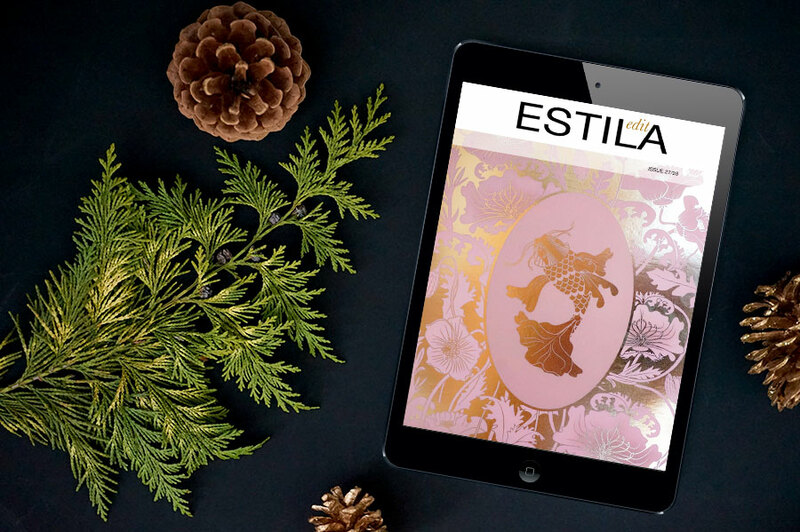 Our digital issue of Estila EDIT 27/28 is about embracing practical elements in your life. One of the benefits of living in different countries over the years is that I was exposed to different ways of living. Different cultures, different attitudes and different values. While living in Germany and Switzerland in particular, it opened my eyes to conscious shopping and practical consumer’s consumption. Before making big purchases, we do our research not just in terms of price comparison but mainly on quality. I learnt to appreciate quality and long-term benefits such as cost per wear/use rather than purchasing a quick fix which will be disposed off after a short time. This is something we encourage our readers to consider, too. Whether that’s through introducing you to ethical brands, handmade design or wardrobe investments, we are passionate about changing your mind and your shopping habits. Especially this time of the year, when we tend to get sucked into overconsumption and overspending for the sake of the festive season, let’s make an effort and at least try to be more conscious of how and where we shop. Perhaps instead of heading your your nearest mall, why not browse in the comfort of your home and shop at small independent retailers we feature in our magazine? See what’s inside this issue and get inspired! Plus, there is a great giveaway for you as well. You can win a pair of statement earrings, designed and handcrafted in London.